What’s up, Thanksgiving? You’re right around the dang corner somehow, so it seems I’m going to have to start eating like it’s already here. Why? As a service to you good people, that’s why. So poke an extra hole in that belt and get ready for even more gluten-free holiday recipes! First up, a crazy delicious gluten-free almond crown pie. Something I had never heard of until I tried to figure out what in the world to do with this impulse buy I found in my cabinet. Most people grab some puff pastry and go to town with this almond filling, but sadly there is no gluten-free puff pastry as of yet. (Hello, gluten-free food companies, get on that!) Instead I found a few recipes for this delicious almond crown pie thing and gluten-freed that bad boy. Per usual, I simply purchased a pre-made gluten-free pie crust because I am NOT going to do it myself. Nope, can’t make me. After I finished this sweet and nutty wonder, I realized it was basically a pecan pie but with the hot nut on the block — the almighty almond. 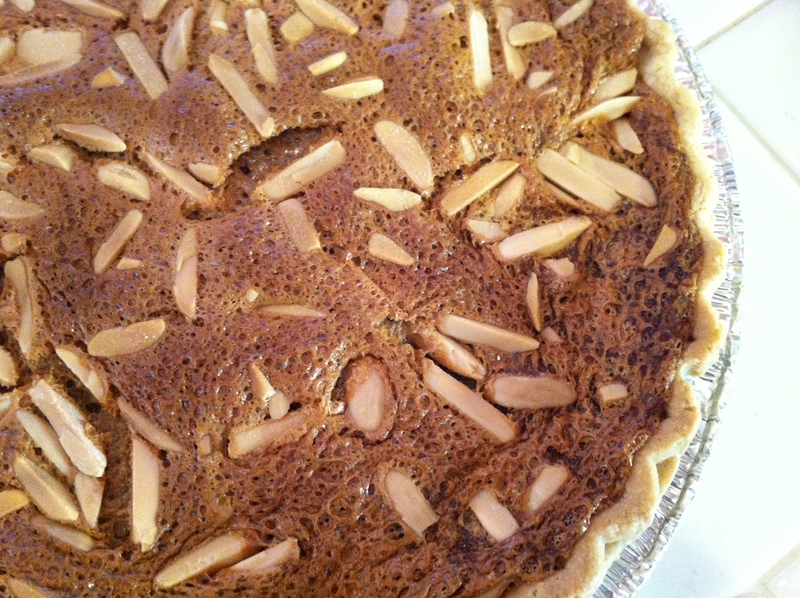 The crown comes in when you line the crust with row of whole almonds (first row seen in the photo above). Interestingly enough, I did not even notice the row of almonds when I sliced into this sweet piece of heaven, but it’s a cute idea, yes? Here’s how you can change it up at your pie table. 1. 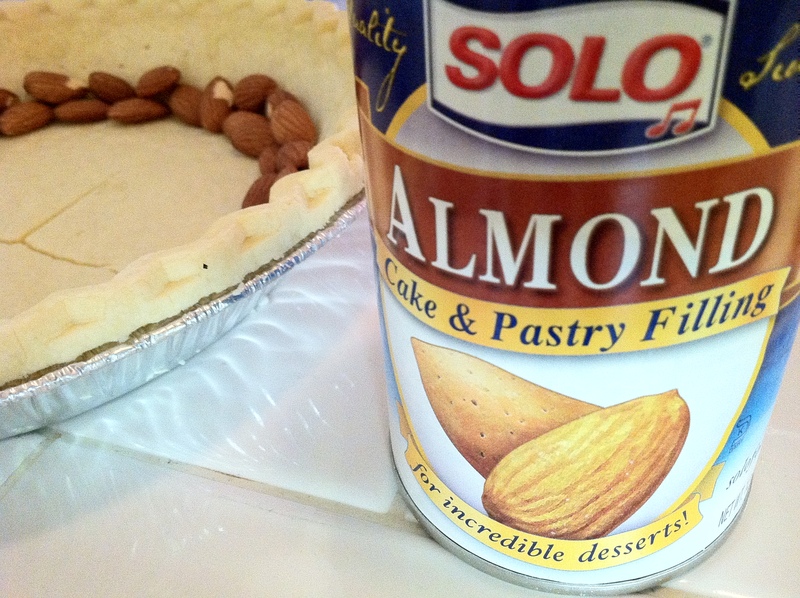 Thaw out your frozen pie crust to room temperature, and place a ring of almonds around the edge of the pie crust. 3. Beat eggs and sugar together until foamy. Add vanilla, almond, and corn syrup and beat well. 4. Pour mixture into pie shell and top with slivered almonds. Bake until center is firm — 45 minutes to 1 hour. Tags: gluten free holidays, gluten-free pie, gluten-free thanksgiving recipes, guten-free dessert. Bookmark the permalink. I don’t understand what “almond cake and pastry filling” is. I even went to the Solo website and looked at the ingredients, and I still don’t get it. I beg for enlightenment! It’s basically almond sugar deliciousness.